Warbirds News has covered in a couple of occasion the fascinating challenge between the airplane and cars, click HERE. 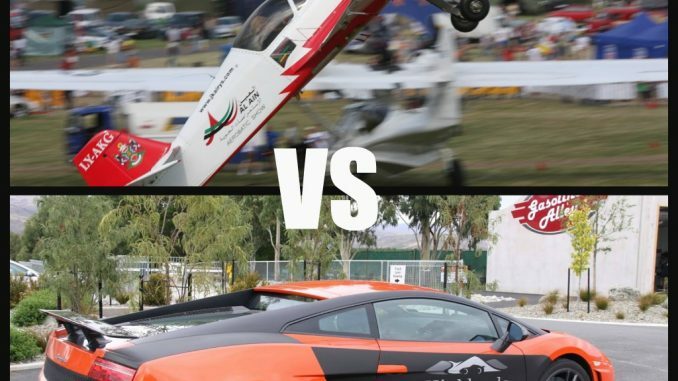 The upcoming Warbirds Over Wanaka Airshow will propose another challenge.World aerobatic champion Jurgis Kairys has decided to give four-time Bathurst V8 Supercar winner, Greg Murphy, a chance in a head-to-head clash at Easter’s Warbirds Over Wanaka International Airshow.Murph will be behind the wheel of a Lamborghini Supercar when he takes on Jurgis flying a Sukhoi 29 aircraft, in a dash along the runway at Wanaka Airport at lunchtime on both Airshow days.The Highlands Motorsport Park Lamborghini Superleggera is capable of going from 0 to 100kph in 3.4 seconds and has a top speed of 325kph while the Sukhoi has a similar maximum speed. “I’m not sure how I’m going to go against Jurgis and if he wants to fly upside down that’s fine, just as long as I’m not expected to drive backwards or something.”Murph is also looking forward to watching the #GigatownWanaka Jet Racing which is billed as “the world’s fastest motorsport”. “That is going to be something to watch. I’m bit of a speed freak but I’m glad it’s those guys flying those jets and not me,” said Greg. When not being driven by Murph the Lamborghini will be on public display at the Airshow. 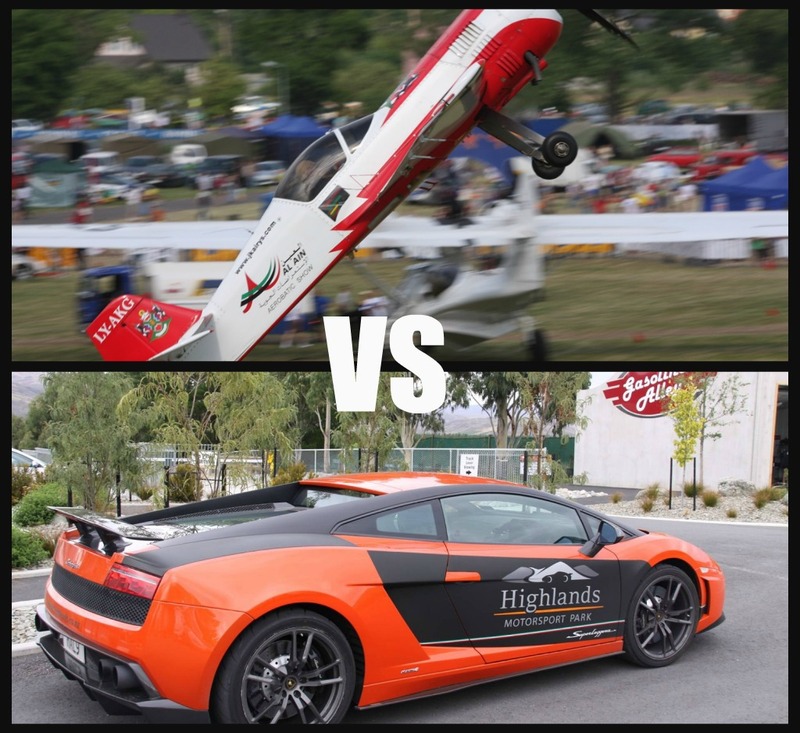 The Lamborghini is normally based at Highlands Motorsport Park where people can book a ride in it around the track.Highlands will be holding a “Festival of Speed” classic and historic event this Easter. Warbirds and Highlands are offering a combo ticket – one day at Warbirds, one day at Highlands. There has already been strong demand for this new ticket which is available online from TicketDirect for just $110.Along with Greg Murphy, another celebrity will be out and about at Warbirds Over Wanaka – this is Shortland Street actress, Amelia Reid.Amelia, who plays the role of receptionist Bella in the long-running TV2 soap, will be joined by actor-husband Shadon Meredith. Amelia has a family connection to Airshows. Her parents, Robyn and Bill Reid, will also be at Wanaka displaying their Avro Anson Warbird aircraft. Warbirds Over Wanaka in Wanaka, New Zealand, at Easter on the 18th, 19th and 20th of April 2014. For more information visit the website, click HERE.